If you’re looking for luscious gardens, spacious balconies, and palm trees swaying in the breeze, The Peninsula Beverly Hills is the place for you. The award winning hotel offers a sumptuous selection of restaurants, al fresco dining, and a rooftop pool for the ultimate Californian poolside afternoon. So kick back, sip that Beverly Hills Iced Tea, and soak up those Cali rays. Nestled among lush tropical gardens in the heart of Beverly Hills, here you will find yourself surrounded by some of Southern California’s finest offerings. The Peninsula is located at the intersection of Wilshire and South Santa Monica Boulevards, within easy walking distance of Century City and Beverly Hills’ legendary Rodeo Drive. 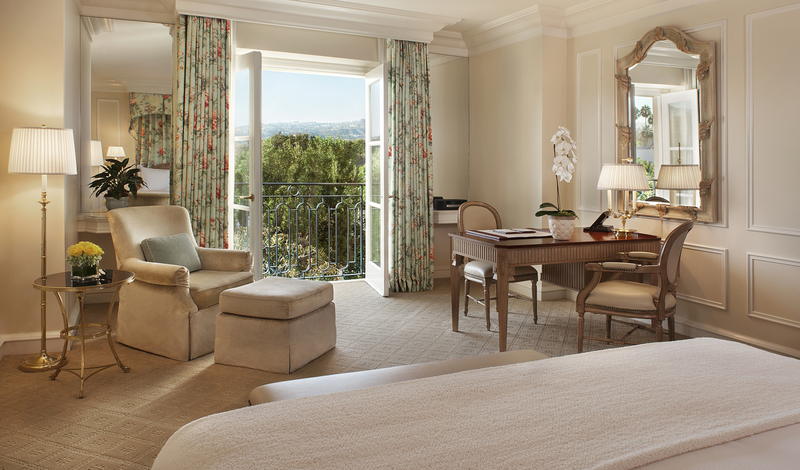 Built in a classic Renaissance style, The Peninsula’s guest rooms exude classic sophistication in a discreet residential setting. The villa suites are our favorite; located in the hotel’s lush tropical gardens for the ultimate private retreat, the suites are naturally light and airy with Oriental rugs on light hardwood floors and the balmy Californian outdoors floating inside through a spacious garden view balcony. Ahead of the game in the world of travel, The Peninsula offers a flexible check-in/check-out experience meaning you can come and go as you please. The Peninsula Beverly Hills’ unique rooftop al fresco dining spot is a favorite with Beverly Hills residents as well as us at Black Tomato. 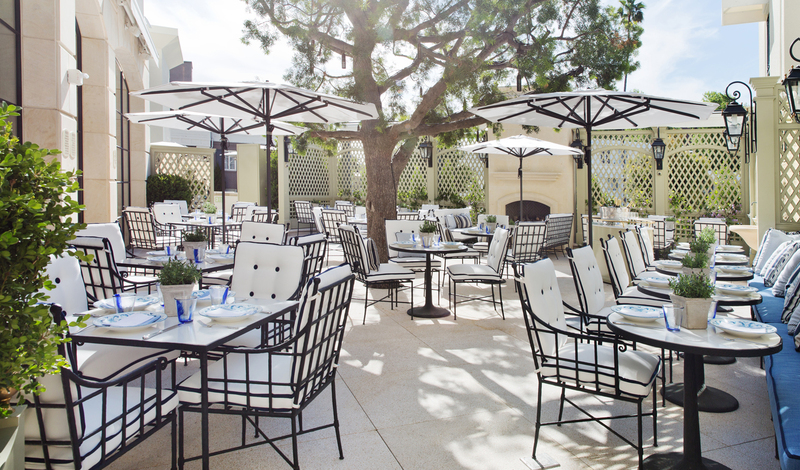 The Roof Garden serves up fresh and healthy Californian fare throughout the day, and on Summer weekends chefs barbeque fresh fish, chicken, steaks, and a delicious Angus beef burger served with Maui sweet onion and Hook’s aged white cheddar. With a fire pit providing the perfect added warmth on a balmy Californian evening, we’d stay here for this dining experience alone.